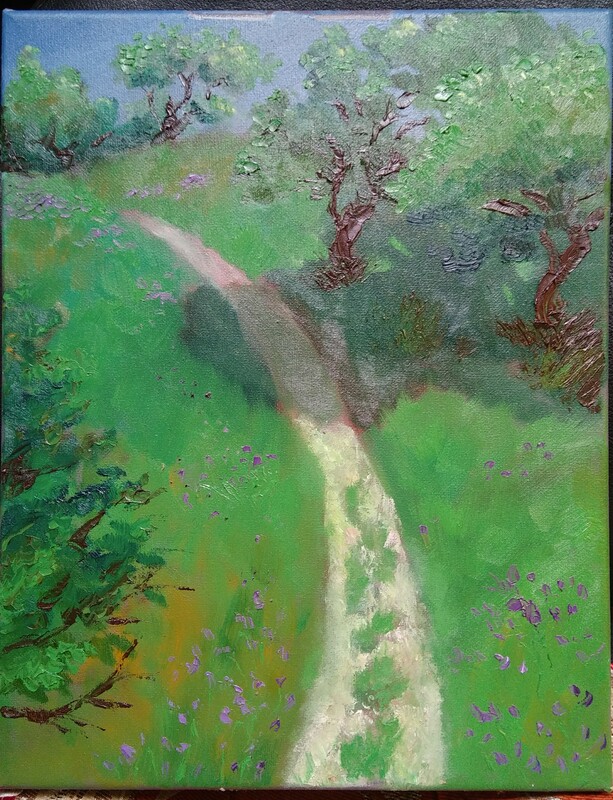 Plein aire is a style of painting done outdoors. All you do is pack up your painting gear, bring lunch, and make a painting outside. I want to demystify this style of painting. Lots of painters may be turned off by the French spelling, and may be intimidated. But it turns out you don’t need to do everything perfectly. The point of plein air is to embrace the experience and see what you get. In this first article, in going to talk about packing and preparation to go out painting. Ill follow up with another about the process of painting. The main point of Plein aire painting is to record your experiences. Paint what you see, and put yourself in it. If you’re tired, make a tired painting. If you’re happy, paint happy! – Backpack, sunscreen, water bottle, sunglasses, hat, etc. Your standard hike gear. – Easel. Something light that folds. I got mine from the art store for $25. – Canvas. Prep ahead of time with a midtone acrylic underpainting. The biggest canvas my backpack can hold is 11X14. – Paint and brushes. I use oils. Make sure you have a good watertight container for solvents. Bring your favorite brushes. Pack up your stuff, and get ready. 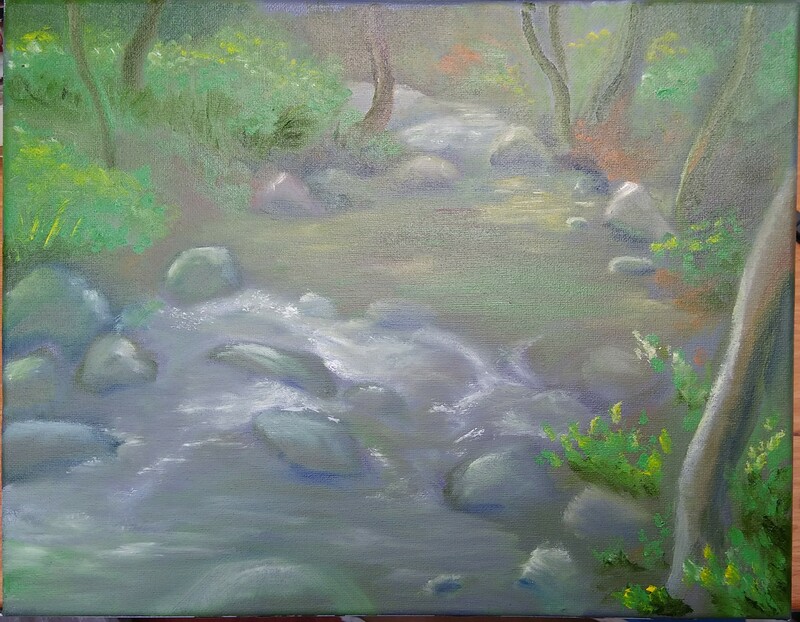 Next post will be about the process of painting Plein aire style. Stay tuned! 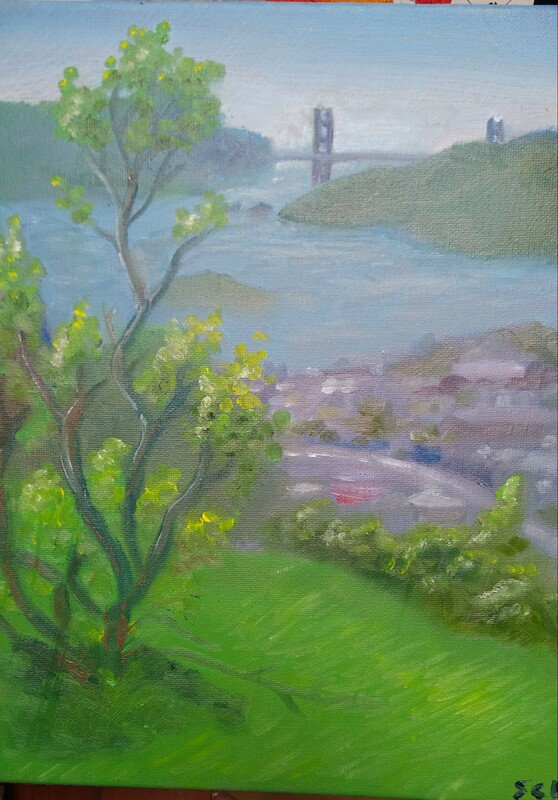 Anyone in the east bay want to come out painting with me? I love painting with a buddy! I like the last one with the path the most!